Dhaval Amin and Aakanksha Patel have just joined CrestClean and been praised for their commitment. For Dhaval Amin it was a case of “try before you buy” when he began looking for a business that would generate enough extra income for a deposit on a home. Like so many other young Auckland couples, Dhaval and his wife Aakanksha Patel’s hopes of being homeowners seemed an impossible dream. But now after purchasing a CrestClean franchise that dream is a step nearer to becoming a reality. The 28-year-old’s association with CrestClean started after he began helping out a friend who has a cleaning franchise. Dhaval found he enjoyed the work and was impressed with the training provided by CrestClean. After crunching the numbers Dhaval, who works fulltime as a software engineer, quickly realised that a CrestClean business was something he and Aakanksha could work on in the evenings. The couple eventually took out a bank loan and purchased a CrestClean business in August this year. 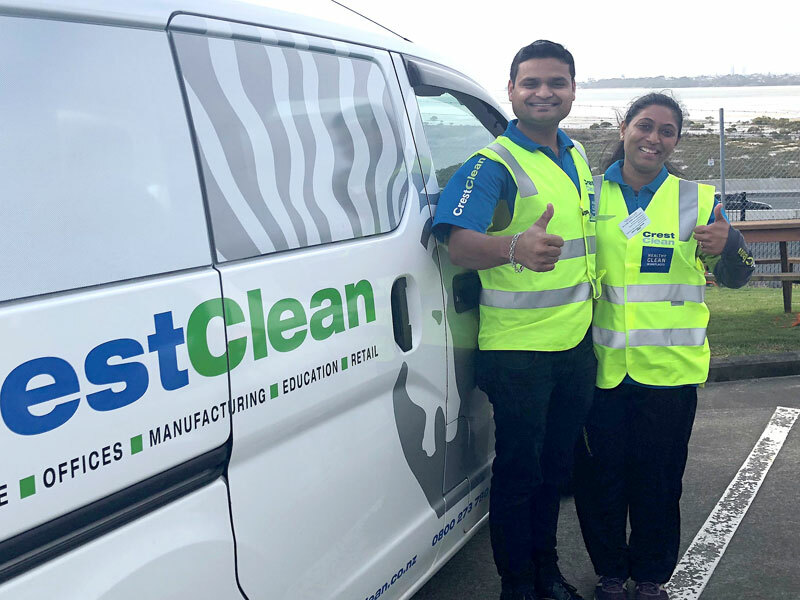 Dhaval and Aakanksha have got off to a flying start, receiving high praise from Julie Griffin, an Auckland-based Quality Assurance Co-ordinator for CrestClean. “They have a great attitude to their business and are proud to be CrestClean franchise owners. They are really professional in every aspect of what they do,” Julie says. The couple received top marks in a recent audit of their work. “It makes you feel really good when you receive great feedback from the customer and it’s really meaningful to us,” says Dhaval. They are excited at the prospect of one day having a place of their own. “We are renting at the moment but we are definitely looking forward to buying our first home,” says Dhaval. “Our CrestClean business is going to put us in a good position so we can afford a home.